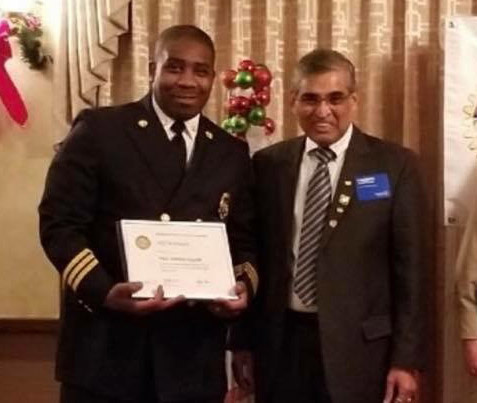 Our Fire Marshal Cliff Robinson received the Paul Harris Fellow award December 6th, 2018 in appreciation for his service to North County. 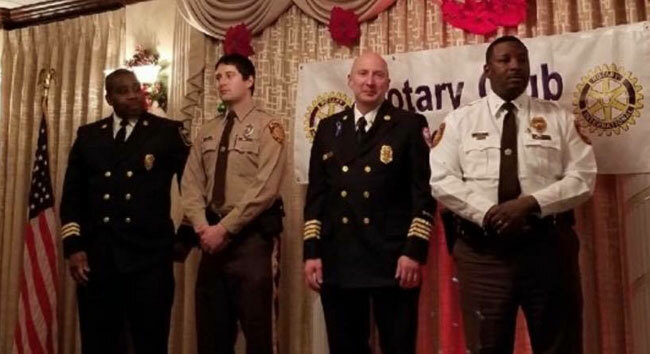 Cliff not only makes the Florissant Fire District safer place to live but assists Ferguson, Black Jack, Spanish Lake, Riverview and North East Fire Districts as well. 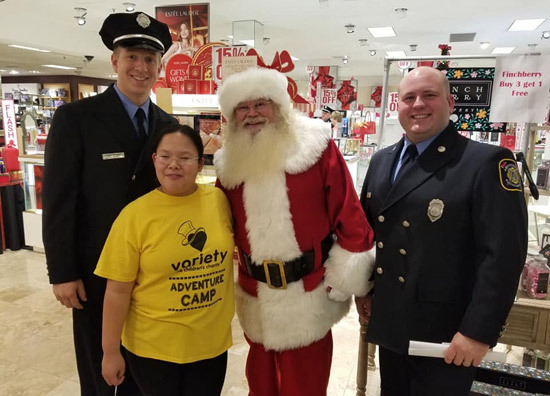 The Florissant Valley Fire Protection District will once again be a drop-off point for Toys for Tots. 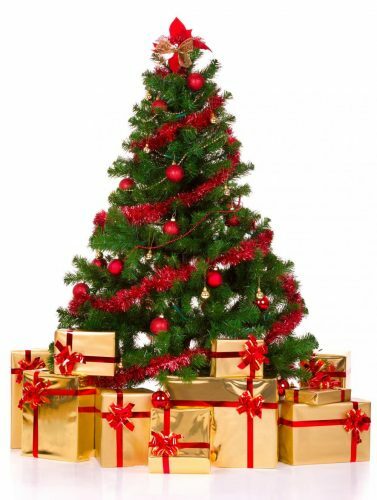 Please bring new, unwrapped toys to any of our fire stations between now and Friday, December 14th. 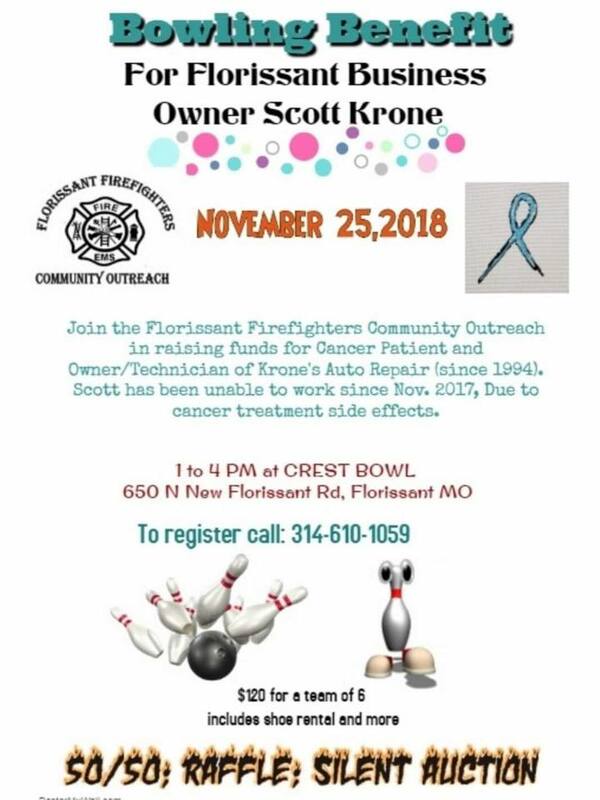 Join the Florissant Firefighters Community Outreach in raising funds for cancer patient and business owner/technician of Krone’s Auto Repair (since 1994). 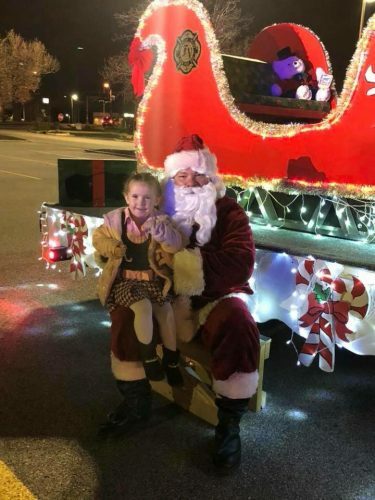 Scott has been unable to work since November 2017 due to his cancer treatment side effects. Includes shoe rental and more. 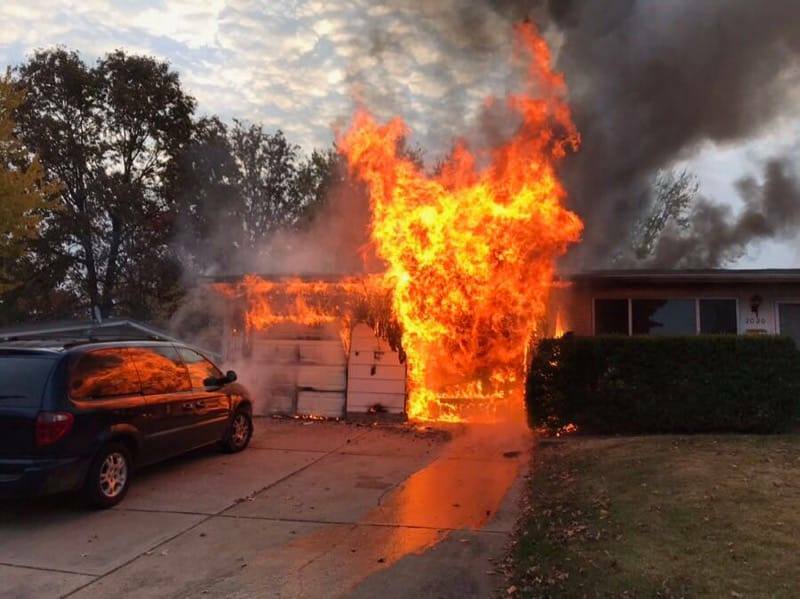 Early Thursday morning in the 2000 block of Splendor Drive in Florissant, Florissant Valley Firefighters responded within 3 minutes to a residential fire with two occupants trapped in separate bedrooms. The patients were extricated from the burning home through bedroom windows in the rear of the house. Fortunately, the doors to both bedrooms were closed, which effectively kept the blaze from spreading into the rooms with the occupants. Both patients were transported by FVFPD EMS to hospitals for treatment. Departments from Blackjack and Hazelwood were on scene in mutual aid. Several news media outlets did stories on the fire and the rescue. The home had no working smoke detectors. 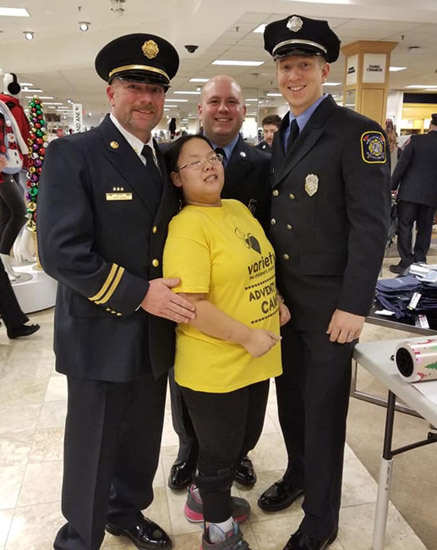 The entire incident was an important lesson on the value of smoke detectors and safety actions like always closing bedroom doors while you are sleeping. Such actions are truly life-saving things to know. If you have any questions, feel free to call the FVFPD at (314) 837-4894.
who desires to be a candidate for election to be held on April 2, 2019, shall file with the Secretary of the Board of Directors of the Fire District at the District Offices, located at 661 St. Ferdinand St., Florissant, Missouri, not earlier than 8:00 o’clock a.m. on December 11, 2018 (office closed on 12/24, 12/25, and 1/1 for the holidays) and not later than 5:00 o’clock p.m. on January 15, 2019 during normal fire district business hours (all central standard time), a statement in writing, under oath, which he/she shall sign and in which he/she is duly qualified for the Office of Director of the Fire District, according to law, and that he/she is a candidate for election to such Office on April 2, 2019. Any person so filing, shall also pay to the Secretary of the District at the time of filing his/her statement, a fee of fifty dollars ($50.00). Filing forms are available at the Fire District’s Administrative Offices, 661 St. Ferdinand St., Florissant, Missouri. 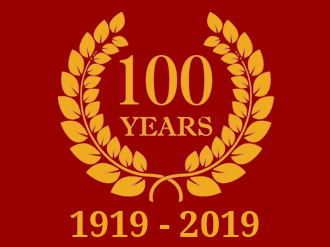 The Florissant Valley Fire Protection District is proud to announce their upcoming 100 Year Centennial Celebration! We’ll post more information here soon. In the meantime, you can read about our History here.